It was the worst summer of Carrie Hauser’s life, and the weirdest: it was the summer her parents announced they were getting divorced, and when a dying alien passed on to her his fantastic superhuman abilities. 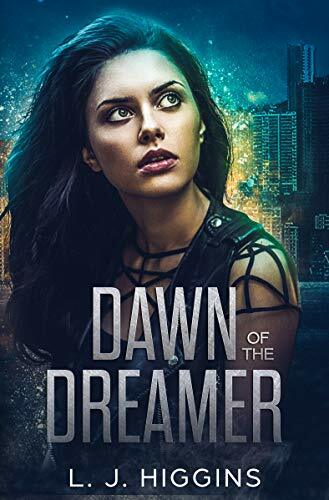 All Carrie wants now is to settle into her new home in Kingsport and get her life back to something resembling normal – but that won’t be easy when her secret is discovered by a group of teenage super-hero wannabes, who need her help to discover why experimental military drones have been wreaking havoc in town. Their search leads the fledgling super-team to Archimedes, an artificial intelligence that will do anything to escape its virtual reality prison and enter the real world. However, the kids aren’t the only ones with an interest in Archimedes, and the super-teens soon find themselves caught in the middle of a longstanding feud between Concorde, Kingsport’s high-flying hometown hero, and his nemesis, the deadly mercenary Manticore. Save the day? Sure…as soon as school lets out. Winter in Kingsport heats up when the necromancer Black Betty comes to town, on the hunt for the Libris Infernalis, a legendary book of dark magic with the power to raise hell on Earth…literally. Facing power beyond their understanding, the Hero Squad turns to the Protectorate’s resident sorceress for help, but the mysterious Dr. Enigma seems to have an agenda of her own. Is she on the side of angels, or is she a devil in disguise? Archimedes, the Squad’s first foe, is finally heading to trial, and the teen heroes aren’t exactly looking forward to again facing the man capable of revealing their deepest secrets to the world — but their secrets are nothing compared to the dark truths being hidden from them by people they know and trust. When those secrets are finally laid bare, they could tear the team apart, one heartbreaking piece at a time…and if they don’t, the bloodthirsty killer known as Buzzkill Joy will. Lachlan Smith investigates a strange noise in the closet of his new bedroom, and discovers a portal to a world of wild animals and overgrown ruins. It is the future, and humanity is extinct. Lock and his friend Gary find that they can change the future. They set out to learn what will happen and prevent it. But there are many dangers in the future — and in the present. The previous owner of the Smith house disappeared, and now a stranger has come who insists that the house belongs to him and he will stop at nothing to get it. In 2023, the innovative MultiMind Corporation (MMC) released a stylish Wristcuff to be worn over a microchip implanted beneath its host’s skin, giving the wearer pleasant dreams. Better sleep promotes a peaceful lifestyle and improved health. At least this is what the MMC have the population believing. There are those for whom this technology fails to work: Dreamers. They’re shunned because of their inability to adapt and evolve like the rest of the human race. Amelia is a Dreamer, and the veil of ignorance is lifted when she meets someone who helps her see through the lies and secrets of the MMC. 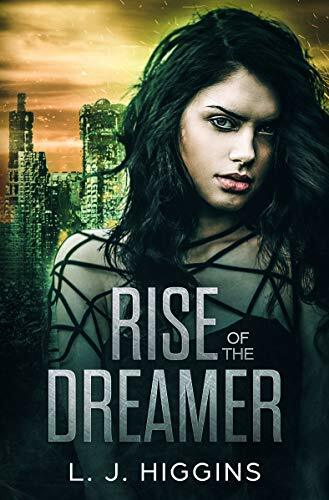 With her world shaken and changed, Amelia has to decide whether to fight for the freedom to dream or take the ‘next step in evolution’ with the rest of society at the risk of losing her ability to think and dream for herself. Every time Amelia thinks she has escaped the MultiMind Corporation, her life is turned on it’s head. Will she ever escape their manipulation and control? Or is she fighting a losing battle? Amelia’s world is falling apart around her. The man she loves is gone, she’s surrounded by people she doesn’t trust, and her friends moved on with their lives while she was locked away in the MultiMind Corporation’s cells. Unsure of who she is anymore, and desperate to find purpose in what has happened to her, Amelia is willing to do anything to end the MMC’s control once and for all. Even if it means putting her own life on the line. Seven hundred years in the future, a powerful alien race called the Jegg invade Earth, wiping out half of the Terran Confederation. In a hidden base under the Sahara Desert, a team of scientists is working to mount a resistance against the invaders. Fitting an Earth ship with Jegg folding-space technology, they plan to travel to the other side of the galaxy to find a mysterious energy source – one that could help them defeat the Jegg. Only two of the crew survive and make it to their destination: the team leader’s wife Maeve, and her teenage son Davin. What they find on the distant planet forever changes the future of their family and their planet, as they enter a race against time… and against impossible odds. Get the Stones. Go to Mount Calabur. Stand on the Nexus. Win the game. Two mighty armies are set to clash. On one side, Elzaria the Lightning-Wielder, backed by her brother’s army, is poised to claim the third Stone and final victory. On the other, Earth pilot Maeve and her allies are all that stands in her way. With the fate of the entire galaxy at stake, who will emerge victorious? And who will have to make the ultimate sacrifice? On their journey they come across other children and Rigel finds that they are all at the centre of a legend thousands of years old … and he has no memory being part of it. The children are the Light Ones and the only hope of saving each planet against The Darkness. The Darkness, trapped for so long in the Dark Realm, is beginning to stir and venture out from its prison, taking hold a world at a time, led by the malignant and cruel Frivlok. It is left in the hands of the Light Ones to do everything in their power to stop it. But with limited experience, strength and cunning as a result of hundreds of years of hiding, how will they ever succeed against Frivlok and his Dark Parade? 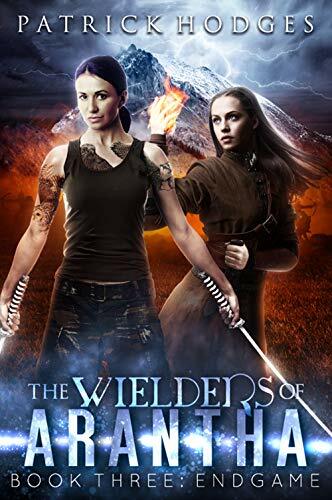 Set across five worlds, different dimensions and multiple time zones, Frivlok explores the twisted path of The Three and the further adventures of Rigel and Rona as they cross the barren landscape of Endirin. Frivlok walks abroad, spreading destruction and chaos to everything he touches. Seeking a way out of his prison, he plots an evil ceremony to transform the captured Light One, Zeph. Meanwhile, Rigel and Rona begin their training and cross the unforgiving landscape of Endirin, searching desperately for the weapons they need to defeat Frivlok. They could be anything. Or anywhere. How will they succeed against an opponent hell-bent on their destruction? Although deep down Charlie always suspected his family wasn’t what it seemed, the truth of his adoption compels him to search for his birth mother. In the quest to find her, he realizes traveling to the past for the truth he seeks will jeopardize his relationship with the person he cherishes most in the world. Nate’s funny. He’s a football player. He’s ridiculously handsome. In fact, it seems as if Melody’s dating the perfect guy, until an unexpected tragedy changes everything about him. 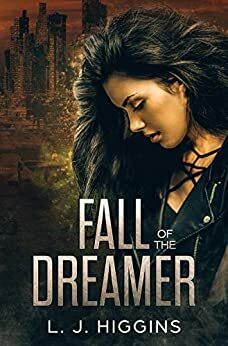 Based on her own family’s experiences, Melody knows traveling in time to help him could have disastrous results – the tiniest alteration of the past can have huge repercussions on the future. But with careful planning, she’s confident her trip will be a success. What she doesn’t anticipate is that sometimes there are consequences which can never be foreseen and changes that can never be undone. The evil Nocterar was defeated, and the planet saved. But if Excelsior thinks the worst is over, he has another thing coming–quite literally!